As developed by Kenneth Waltz, Neo-Realism is a parsimonious theory exclusively focusing on material-based structure, specifically the distribution of material capabilities between states which are motivated to amass them to ensure their own security in an anarchic realm, in determining the stability (defined as the absence of great power war) or not of the international system. Shortly after completing his Neo-Realist theory, however, Waltz became a fierce defender and supporter of nuclear weapons as a stabilizing feature virtually erasing the possibility of war between those who posses them regardless of all other material factors. With complete confidence in the war-inhibiting effects produced by nuclear deterrence, Waltz advocated for their gradual proliferation into conflict-prone relationships and asserted nuclear weapons played a key role in the enduring great power peace over the past seventy years, particularly since the end of the Cold War witnessing major changes in the distribution of power in the system. A lack of moral deliberation for seriously considering if/when deterrence fails and whether world order can and should be based on a weapon which presents an existential threat to life itself. There are degrees of validity with these points, but this paper will agree with Waltz on the effects of nuclear weapons to highlight and unpack a more direct theoretical flaw between Neo-Realism and nuclear weapons. The absolute power placed in nuclear weapons, as a unit-level originating phenomenon (Waltz’s own wording), making war exceedingly unlikely regardless of other material factors undermines his Neo-Realist project which privileges the power of structure to account for not only balancing amongst states but as well the stability of the system. Many contemporary Neo-Realists do not share Waltz’s views on the exact relationship between polarity and stability, nor are they as certain in the constraining power of nuclear weapons on war and strategy, but they have not adequately incorporated them into their own approaches. Such a disconnect does not undermine Neo-Realist insights including balancing behaviour being in part motivated and impacted by structural conditions associated with changing distributions of power in an anarchic system. The inability to account for the lack of great power war without reference to nuclear weapons in the contemporary era, however, leaves Neo-Realism exposed to addressing how a unit-level phenomenon could have such a completely restraining effect on these structural pressures. Rather than a saving grace theoretically as an explanation for the absence of great power war despite transitions to and within various polarity systems, nuclear weapons are Neo-Realism’s Achilles’ heel as they are time and again employed to do the causal heavy lifting in explaining the absence of great power war. In Man, the State and War (1959) Waltz explored the reason behind the reoccurrence of war throughout history, presenting three ‘images’ emphasised over time by various political and IR theorists to be war’s ultimate source: human nature (first image), the nature of the state (second image) and the international system (third image). Condemning human nature arguments as tautological and that all states, not just specifically kinds of them, engage in conflict, Waltz asserted war’s persistent regularity is due to unalterable condition of the third image as anarchical in its organizing principle with no authority capable of inhibiting its outbreak between states. The only way, Waltz mused, to overcome such a condition would be the establishment of a world state with complete control over the use of violence, domesticating international anarchy under a global Leviathan: a condition he did not think possible. In the few references made to them (pages 236-237), Waltz speculated that nuclear weapons may arrest some wars given their destructive potential but could not change the anarchic international system and thus war would continue in the nuclear age. In the 1960s Waltz began investigating the enduring great power peace following the end of the Second World War, concluding it rested on the establishment of a system of bi-polarity with the Soviet Union and the United States as the only two great powers evenly matched military with no other great powers. War continued to be a feature of international life but was pushed to the margins with the superpowers engaging in proxy conflicts, not directly against one another keeping the Cold War from turning hot. This analysis was formalized in his 1979 Theory of International Politics (TIP) outlining a new theory of realism –Neo-Realism– formalizing how structure accounted for system in/stability. The structure of the international system produces a system of self-help where states develop material capabilities as a security seeking measure to balance against one another, particularly those with more material power, producing different polarity systems founded on the number of great powers. Bi-polarity (as in the Cold War) is a stable system whereas multi-polarity (3+ great powers such as in the first half of the 20th Century in Europe) is more unstable as the are greater permutations of shifting alliances causing difficulty in maintaining a stable balance of power. Balancing, therefore, is a mechanical process resulting from structural pressures producing polarity configurations which are not dependent on the self-awareness or coordination of units doing so. Dedicating just a handful of pages to the issue (pages 180-183), Waltz acknowledges the role of nuclear weapons in deterring superpower war in the Cold War but asserts this is a secondary cause shoring up and layering on top of the pre-existing and primary stabilizing feature of bi-polarity. Shortly after the publication of TIP, Waltz became one of the strongest proponents of nuclear weapons reducing the possibility of war between its possessors, most forcefully argued in his well known 1981 ‘More May Be Better’ Adelphi paper. Waltz did not believe nuclear weapons make weak states great powers or erase balancing pressures caused by the global distribution of power, but he became convinced of their durable and absolute effects on marginalizing the prospects of war and asserted they were the greatest force for peace in the world. Agreeing with Jervis that the nuclear revolution has fundamentally changed the nature of statecraft and strategy, Waltz argued nuclear weapons eliminated the use military power by great powers against one another as a means to achieve their national interests. Great power stability in this new era was not based not on an ability to defend against each other, but rather by being involuntarily vulnerable to each other’s nuclear forces. After achieving second-strike forces – the ability to conduct a nuclear counterattack after being subject to a nuclear attack initially – Waltz claimed comparisons of nuclear forces do not matter (as well as large arsenals and nuclear warfighting strategies) as deterrence is robust and virtually impossible to escape from. He is dismissive of the chances of building missile defence forces or the ability to knock out another’s nuclear forces (even smaller ones possessed by non-great powers) with a first strike to such a degree of confidence that would warrant taking such risks which may initiate war with another nuclear power. Deterrence is not solely material in nature but rather psychological – the slightest chance of one or a few nuclear weapons striking one’s homeland is enough to deter any proclivities to using nuclear forces except in a retaliatory capacity. Nuclear deterrence not only marginalizes the risk of nuclear war but all military engagements due to fear of escalating to a nuclear threshold. Conflict would not be entirely extinguished, with some marginal exchanges between nuclear powers still possible, but the probability of full-scale war between nuclear powers approaches zero. Waltz’ complete, comprehensive and universal faith in their war-inhibiting effects resulted in him slowly giving them pride of place in explaining long great power peace since 1945, though he remained committed to his Neo-Realist theory as the international system remained unchanged due to the persistence of anarchy as its organizing principle. Nuclear balancing (manifested via deterrence), however, had become the latest iteration of balancing stemming from structural pressures but had revolutionized the ability for states to achieve security to an absolute degree. To Waltz the structure of the international system is not a deterministic force dictating the actions of states but is an ever-present and preponderant pressure which pushes them into a narrow band of behaviours in accordance with the balance of power of the system defined by its polarity. Nuclear weapons are the ultimate manifestation of the self-help system as states seek to ensure their security in a world where there is no higher authority to provide it. Paradoxically, however, Waltz’s admission of their universal and uniform effects undermines many planks of Neo-Realism, most importantly how structural pressures are severely curtailed by a phenomenon which resides at a level of analysis – the unit level – he dismisses as unimportant in understanding great power war and peace. This disjuncture traps Waltz who is incapable of creating a coherent, commensurable synthesis of Neo-Realism and nuclear weapons, and instead must shift onto to new ontological and normative grounds for understanding the latter. Nuclear Weapons as the Absolute Weapon: The uniform effect of nuclear weapons on the behaviour of states possessing them -non-first use and restrained aggression towards one another in general – is based on a belief that their destructive potential transform states into completely rational actors who become exceedingly cautious in their relations with one another based on the common knowledge of how destructive yet unpredictable a nuclear exchange would be between them. Such caution, however is balanced by and a product of the peace that nuclear weapons guarantee as the ultimate provider of security for states, marginalizing the need to develop other instruments of power to protect oneself Nuclear weapons, therefore, mute the impact of polarity and the distribution of power more general on states’ measures to achieve security. Waltz argues, however, that it is not nuclear weapons themselves (a unit-level feature) but rather nuclear deterrence (a relationship between actors based on mutual vulnerability to each others’ second-strike forces) based on the distribution of nuclear weapons which account for their stabilizing effects, and thus is still captured under the structural level of analysis. Waltz’s own assertion, thought, that second-strike forces are easily achievable (as not many are needed), however, may have underestimated these requirements as no nuclear power has fought a major war with another nuclear power at all regardless of nuclear force capabilities. Mere possession appears to have immediate structural level effects which undercuts all three elements of Waltz’s concept of structure. First, nuclear weapons possession of any kind seems to severely curtails the effects of anarchy (namely the risk of bring attacked); leads to the differentiation of units in the system as nuclear powers have new and unique relations with one another (non-use of war) as opposed to relations with and between non-nuclear states; and marginalizes the importance of the distribution of material capabilities on threat calculation and determining ways to protect oneself as Waltz argues after second strike forces are achieved relative comparison of nuclear forces are meaningless with conventional forces becoming almost a peripheral factor. This last point is a shocking assertion for Waltz’s understanding of balancing, the predominant behaviour he is attempting to understand via Neo-Realism, is premised on the uneven distribution of material capabilities motivating state action based on relative comparisons of material power. Nuclear Weapons as a Normative Good: Based on its perfect record of non-use and stemming war between nuclear states, Waltz is a fierce advocate for their gradual proliferation to states with hostile relationships. Such advocacy introduces a normative perspective for Waltz which is absent in his theoretical work on Neo-Realism. The promotion of the peaceful effects nuclear weapons allows him to sidestep the theoretical issue of how a unit-level feature can have such structural-like effects but is nonetheless an attempt to subsume the narrative of nuclear weapons as a logical, but unexpected, outcome of the anarchic/self-help system. In this way, nuclear weapons become a saving grace in reducing the chance of war which should be encouraged and supported, generating widespread discussion and critique of his complete faith in their deterring effects which, while justified, marginalizes investigation into how such a reality (if assumed to be true) is detrimental Neo-Realism’s privileging of structure to the exclusion of everything else. Perhaps the greatest disjuncture between Waltz’s understanding of nuclear weapons and Neo-Realism is the contrasting logics he employs in both. 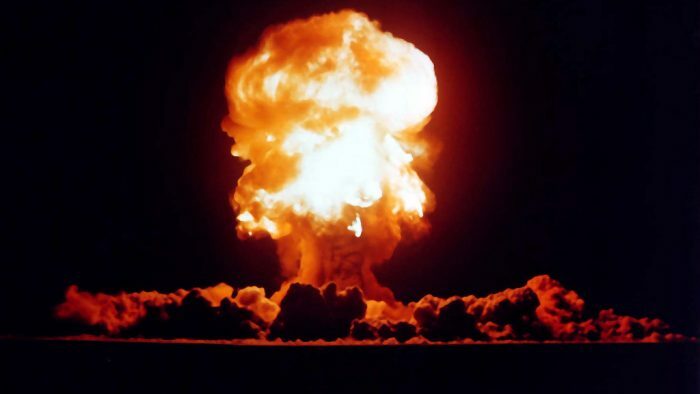 In the former, the deterring effects of nuclear weapons is based on a complete rational actor assumption – every state in any relationship with another possessing nuclear weapons will act the same – where the latter is based on a Darwinian natural selection logic that structure pressures but does not deterministically force states to act in certain ways, but those that do not abide by self-help logic will be killed off leaving those which have acted in accordance in the balance of power the survivors. Waltz’s advocacy for the gradual proliferation of nuclear weapons is based on a normative consideration – great power peace and peace between hostile states in general –which conveniently masks over the dissonance which emerges between his complete faith in their deterring effects and undercuts much of his objective, value-neutral theory of international politics accounting for the ebbs and flows of great power in/stability throughout history. Severing the Relationship Between Polarity and Stability: The complete omission of uni-polarity in TIP, and the inability to explain the peaceful transition to it from bi-polarity at the end of the Cold War, severely undermine Waltz’ assessments of the causal relationship between polarity and stability. Waltz’s belief in the absolute power of nuclear weapons as a war constraining mechanism, however, is employed to account for the continuation of great power peace despite this polarity change. Such a move raises the question of whether other unit level features could or do enact similar system wide effects on state behavior and in so doing restrain the causal power stemming from anarchy, producing stable configurations not entirely based on the distribution of power. For example, could the spread of democratization (producing peaceful relations between democracies as per Democratic Peace Theory), increasing economic and other forms of independence associated with globalization (know as Complex Interdependence) and/or changing identities and interests within and between great power relations (as per Constructivism) account for the great power peace of the past seventy years? Waltz, to avoid acknowledging nor placing these factors into a position of causal primacy, must double down on nuclear weapons as the reason, even while sacrificing the importance of polarity to stability to do so. The debate, therefore, becomes one about which unit-level features accounts for the maintenance of stability in a non-bi-polar system, thereby discarding the distribution of power as the decisive factor. The appeal of nuclear weapons to Waltz and other Neo-Realists is that they can be seen as a product of structural pressures, namely the pursuit of self-help, and thus maintains the worldview that states are motivated by security above anything else; but the persistent refusal to incorporate them within their theoretical approaches is perhaps based on the knowledge that doing so would fatally undermine the primacy of material based structure which is incapable on their own to account for great power war and peace which lies at the heart of the Realist project. Waltz’s faith in the deterring power of nuclear weapons guarantying a high degree of security for states leads him to conclude that the development of other material capabilities – such as conventional forces- have become an ancillary function with little impact on the relations between great powers. Nuclear weapons, therefore, nullify the motivations for and impact stemming from security dilemma dynamics as states augment their material capability for defensive reasons but are seen by others to be aggressive moves threatening their security motivating reciprocating build-ups which threaten to spiral towards conflict. Several Neo-Realists have built on this assessment arguing states, after having achieved a reasonable degree of security, will become system supporters and oppose moves by others to alter the status-quo, a branch of Neo-Realism called Defensive Realism. Other Neo-Realists and structural theorists strongly disagree that nuclear weapons have arrested security-seeking behaviour and that nuclear powers have become de facto status-quo ones supporting the current system configuration. Ironically, despite the obvious fact that nuclear weapons and their effects on states’ security divide Neo-Realists there is little if any open debate within this community on this issue. The most well-known alternative to Ken Waltz’ Neo-Realism is John Mearsheimer’s Offensive Realism. Mearsheimer, while agreeing with Waltz’s depiction of balancing as driven primarily by structural pressures, argues states are not defensive positionalists but rather power maximizers which are never satisfied with the level of power they amass. Unlike Waltz who largely views conventional forces in a nuclear age simply as a trip wire force to gauge if vital interests are at stake, Mearsheimer argues they play the pivotal role in the altering balance of power as states compete for regional hegemony in their home region while denying it to others in theirs. Grand strategy, the development and application of military power, has not been eliminated by nuclear weapons. This is most evident currently in the military and strategic moves by Russia and China in their near-abroad areas at the expense of the US and its regional allies. Nuclear weapon possession by, and deterrence established between, all three of these powers have not created a sufficient level of security as they all seek to augment their material, specifically military, capabilities, as power maximizers. Mearsheimer does concede (pages 128-129, 394-395) nuclear weapons induce pronounced caution in great powers from fighting one another as none of them have been able to establish nuclear superiority, but they could still fight non-nuclear conflicts if it is clear the objectives are limited, with little risk escalation and does not threaten vital interests of another nuclear major power. Nuclear weapons provide some level of stability but do not extinguish power maximizing pressures or the general risk of great power competition turning violent. Mearsheimer, contrary to Waltz, is skeptical of endorsing nuclear weapons as having a complete war-inhibiting effect. This stance, however, is juxta positioned by his periodic advocacy for certain states to acquire them to balance against possible great power aggression, including the Ukraine (against Russia), Germany (against Russia, the UK and France) and Taiwan (against China). Underpinning this advocacy is the belief that acquiring nuclear weapons will shore up these states’ territorial security and stabilize their home regions which are moving into new polarity configurations. In effect, Mearsheimer, like Waltz, is a strong proponent of nuclear weapons as stabilizing measures against changing polarities but remains adamant there is always a chance of war breaking out, including a nuclear one. This creates the odd position arguing that in selective situations nuclear weapons are robust security guarantees but that they do not extinguish states form being power maximizers and thus war will always be a possible. Waltz does not fall into this trap due to his certainty of nuclear weapons inhibiting major conflict regardless of states and situation. Mearsheimer is unwilling to make this move and thus unable to explain when and how nuclear weapons would contribute to stability and when they would not. Nuclear weapons, instead, become the handy tool in his back pocket to be employed to account for why great power war has not occurred, but refusing to account for and incorporate them in his theory. Another structural, but not Neo-Realist, perspective which also struggles with incorporating nuclear weapons into its theoretical approaches is Power Transition Theory (PTT). PTT argues international politics has historically been stable when governed by a clear hierarchy enforced by a dominant state and that moves towards parity in terms of material capabilities between two powers is an especially dangerous period (as opposed to Waltz who sees this configuration, bi-polarity, as the most stable form) where the risk of war and conflict is at its highest between an aspiring rising power and a nervous reigning hegemon. Hegemonic wars, furthermore, are structural in nature due to the differential growth rates among great powers versus Waltz’s Neo-Realism in which war is largely escalatory in nature due to mistrust and uncertainty stemming from and furthering security dilemmas. Some of the less deterministic forms of TPP do not believe war during these periods is inevitable but rather dependent on several factors including the effects of nuclear weapons as demonstrated in Graham Allison’s work on the ‘Thucydides’ Trap’ and Robert Gilpin’s work on hegemonic war and stability. Building off the work of the Greek thinker Thucydides, Allison and Gilpin, in contrast to both Waltz and Mearsheimer, argue competition and war are rooted in human nature, not solely structural factors, which nuclear weapons have not fundamentally change. Nuclear weapons may arrest some power transitions turning violent but cannot be said definitively so for all cases. Such a position seems as a prudent assessment but as with Mearsheimer, neither Gilpin nor Allison fully integrate nuclear weapons into their theories which thus becomes an easy plug-in to explain away the lack of hegemonic competition turning hot. Gilpin, however, argues that studying the foibles and limitations of decision makers to foresee future events (and thus not assuming them to be rational actors) remains critical in a world populated by nuclear states where their sheer destructive power may not be enough to inhibit hegemonic rivalries turning violent. History is filled with many states which did not knowingly enter hegemonic wars, the devastating effects of which were not anticipated by their participants such as the conquering of Greece by Macedonia in the aftermath of the Peloponnesian War between Athens and Sparta and the dissolution of European empires and rise of the US following World War I. Despite heavy reliance on them to explain the absence of great power war in recent history, Neo-Realism and other structural theories at best pay lip service to the effects of nuclear weapons, merely injecting them as an additional variable to be included on top of, and thus outside of, their constructed models. Waltz comes closest amongst these theorists in constructing an internally consistent logic of nuclear weapons’ emergence and their effects but this rests on such different ontological and normative grounds as Neo-Realism to make the two projects impossible to synthesize. As listed above, others refuse to build a coherent understanding of nuclear weapons and their impact on war and conflict, seeming content to use them to do the heavy explanatory lifting as anomaly fixers when their primary causal variables fail to account for empirical realities. Reversely, much of the work regarding theories of nuclear weapons acquisition, relinquishment/ non-pursuit, posture, arsenal and strategy, and impact on conflict prone relationships begins from a Realist position of states as security seekers but then delves into unit level variables (domestic influences, ruling regimes, perceptions of relations with others) to explain specific cases. They, therefore, do not connect into a larger general IR theory of accounting for the prevalence/absence of war between nuclear powers, especially great ones. There are several quantitative studies exploring such issues, but no theories explaining this phenomenon resulting in the glaring absence of either a stand alone, general theory and/or a theory which incorporates nuclear weapons and its relationship to great power competition and conflict within either the IR Realist tradition or more specific, but Realist-based, nuclear weapons literature. Waltz, widely acknowledged as the high priest of Neo-Realism idolizing material structure, later in his career appears to have adopted a new faith with a fervent belief in the power of nuclear weapons diminishing the prospects of war between its possessors. Ironically (and perhaps intentionally) he never addressed the dissonance generated by his complete certainty in their stabilizing function on his theory of Neo-Realism. While other Neo-Realists disagree with Waltz with respect to balance of power, how polarity and stability relate, and the degree to which states seek security, they all share an ontological commitment to the power of material structure reducing all other levels of analysis as either irrelevant or of a secondary nature to account for great power competition, which often turns violent. Nuclear weapons, though, cannot be whisked away because of its structural-like effects which are continuously employed as the primary explanation for why great power war has not occurred in recent history. Nuclear weapons, therefore, places Neo-Realism in an paradoxically position of either 1) accepting its completely constraining effects as a unit-level feature which undermines the privileging of material-based structure; or 2) denying its ability to completely restrain great power competition arises from anarchy and self-help, but then forced to account the variation of when and how nuclear weapons have stabilizing effects and when they do not, leading again to focus on unit-level factors. Either move force Neo-Realism to look beyond material structure. If nuclear weapons are absolute weapons constraining anarchy to such an extent to produce high levels of security then there is a necessitate to discriminate between this unit-level effect and why other factors (like regime type) could not also restrain anarchy to such an extent. If nuclear weapons do not complete nullify great power competition and the risk of war, then investigation into specific states, regime perceptions, and their relationship is required to determine when, why and to what degree they are stabilizing features ad when they are not. Ever since the end of the Cold War with Neo-Realism’s inability to predict and explain the ending of bi-polarity and what international configuration of power was to replace it, a number of well known realists have stressed the need to wean the tradition away from an exclusive dependency on structure which reduces international politics to nothing but a function of relative material capabilities between states, specifically great powers, and instead incorporate other levels of analysis such as state/domestic factors as per Neo-Classical Realism or to revert completely to a more classical form of Realism. Hesitation to do so is rooted in a belief that Neo-Realism is a more scientific approach, being an objective, value-neutral theory explaining the world of international politics as opposed to Classical Realism which, while addressing similar matters, is more conditional and contextual about the forces which shaped international politics and with an emphasis on foreign policy and grand strategy in a descriptive/prescriptive, not predictive/explanatory sense. Realism should not be forced into a zero-sum choice between human nature or structure to explain great power competition or stability and war, as per the portrayal that Waltz erected to contrast with, erase and replace Classical Realism with Neo-Realism. Returning to a focus to human nature – including group formation, conceptions of self and other, and perceptions of power, security and threat – would allow a more contextual and contingent theory to emerge about the propensity of competition, rivalry, balancing and uncertainty between states within an anarchic environment without exclusive reference to material structure. An appropriate place to start would be unpacking Waltz’s primary assumption underpinning Neo-Realism (pages 91-92 in TIP) – that states wish to survive – which was a clever move to not completely discredit the importance of human nature but rather encase it as an uncriticizable, a priori postulation before entirely removing agency from his theory. Nuclear weapons, rather than being a natural, logical outcome of or a saving grace for Neo-Realism has become its theoretical Achilles’ heel undermining the power of structure and another chink in the armour of such structural approaches which cannot explain the occurrence of great power war and peace – the central purpose of the Realist endeavour – without resorting to a unit-level phenomenon. Its time for Neo-Realists to quit using nuclear weapons as anomaly fixers and embed them in theory properly, even if this necessities a fundamental reworking of its basic principles and logics. Adam P. MacDonald, a former Regular Force naval officer in the Royal Canadian Navy, is a PhD student in the Political Science Department at Dalhousie University whose research interests include international security issues, specifically military developments in the Arctic and East Asia. Receiving his BA from the Royal Military College of Canada (2008) and MA from the University of Victoria (2009), he has written for a number of Canadian and international defence and security journals including Asian Affairs: An American Review, the Canadian Foreign Policy Journal, the Canadian Naval Review and International Journal as well as several think-tanks including the East Asia Forum, the Canadian Defence Associations Institute, Frontline Defence and the Macdonald-Laurier Institute.